My reviews for the past month of more than 30 blogs concludes with Whirlwind Steel‘s effective and well-thought initiative. 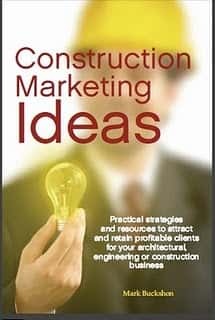 The blog reviews, which have traversed the U.S., Canada and internationally, have covered a diversity of markets and sectors, ranging from residential renovators, to consultants, ICI-focused contractors and, in the case of Whirlwind, building products manufacturers. I like Whirlwind’s initiative because of its easy-to-follow style and generous provision of useful, actionable information. 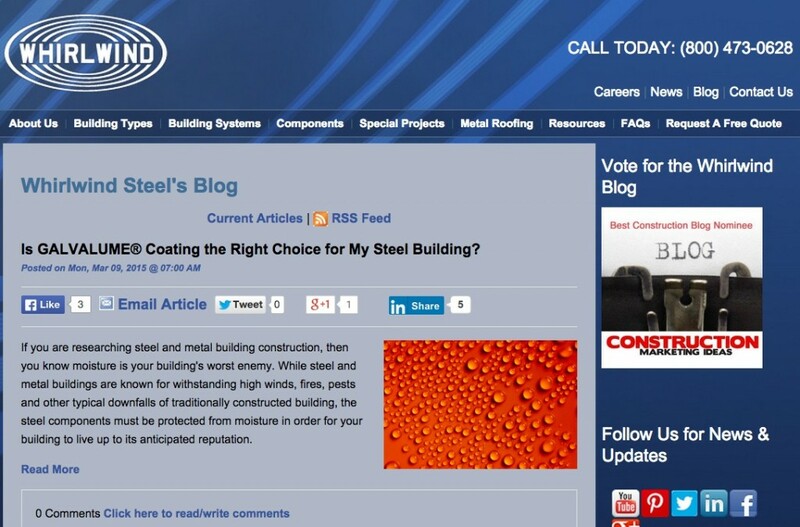 There are practical, specific postings relating to steel buildings, some effective promotional postings, and (adding value) coverage of topics that anyone purchasing steel construction materials and structures would need to know, such as building permit requirements and (close to my heart) marketing. Think of Your Company as a Person. Branding is about connecting your company’s logo and name with a particular energy or feeling for the public at large. For example, consider Carhartt. Their clothing line is tough, durable, reliable and respected. They create high-quality products and have stood the test of time. 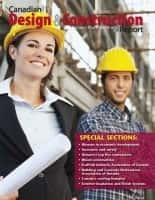 Therefore, non-construction professionals recognize the brand and associate it with those qualities. What positive qualities come to mind when clients think about your company and the work it does? These are the qualities you’ll want to highlight and focus on as you use projects to promote yourself. What Sets You Apart? Another important part of your promotional strategy is having a clear idea of what sets you apart from competitors. Do you specialize in a particular niche? Are your clients Baby Boomers looking for accessible designs, or do you target younger couples and families? Are you a sustainable builder? Think of the things you offer that competitors don’t and then highlight these things in your promotional materials and in the way you present your projects online, in brochures, on billboards or even in the artwork in your brick-and-mortar office. Yes, Whirlwind’s blog explains here the importance of differentiation — a vital cornerstone of effective marketing. Be active on social media and promote current projects like crazy. Place humility on the back burner for a while and start showing the world what you have to offer. A little shameless promotion will go a long way towards building a successful business. There’s no need for humility with this blog, which really represents the blogging concept’s effective implementation. You can vote for this blog and others here.